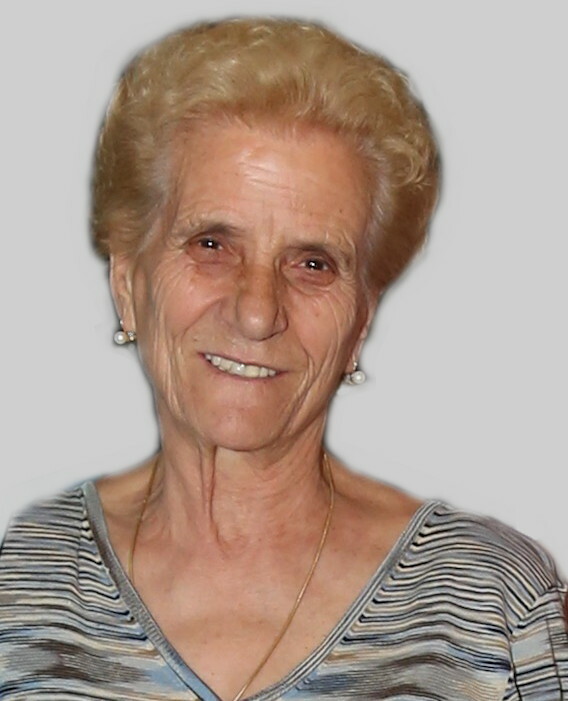 The Lord called Franca peacefully on April 14, 2019, (Palm Sunday) the beginning of Holy Week at the age of 84. She will be rejoined with her loving husband Vincenzo(who is pre deceased) and parents. She was cherished by her two boys, Jerry and Sam and their loving families. She was a proud grandmother to 5 grandchildren, Jacob, Adrian, Angelica, Leora and Alythea. Please be mindful to not park in front of the church to allow space for immediate family and funeral home vehicles. Our condolences on the loss of Franca. Sad to learn that she has passed. We always enjoyed sharing a greeting in the neighbourhood. She will be missed by neighbours on Crawford. My deepest condolences to you on the loss of such a lovely woman. Francescina, as I know her was a good friend to my lovely mother Gina and Aunt Franca who just lived a few doors down on Crawford and have since passed away. Not one mass would go by or a visit to my aunt's home when I wouldn't see her beautiful face and she was always quick to say hello and how are you. She indeed will be remembered by many with great fondness. Jerry and Family, my thoughts and prayers are with you. Franca, I remember throughout the ‘80, ‘90’s and beyond, an Icon at St.Frances, and the neighborhood. She will be missed BUT never forgotten. Jerry and Sam and Family so sorry for your loss. She was a wonderful person. Our thoughts and prayers are with you. May the wonderful memories bring you comfort. We are truly sorry to hear of the loss of your mother. Please accept our condolences and may our prayers help comfort you and your family. She will be missed but never forgotten.